A parent’s dream is to see their kids graduate and become successful later in life. While education is only seen as a means to an end, education is actually a once in a lifetime journey that fills your life with both good and bad memories to last you a lifetime. A good education equips children with the knowledge, skills, and attitude they need as they journey into adulthood and with a better understanding of how the world works and where they fit in the picture. For the most part, parents have an option whether to enroll their kids in a public school or a private institution. However, it seems that most parents will only have the latter as the option in the coming years. If there is one thing that you can count on during the Trump administration, it’s all about tax cuts. It seems that he made it his personal mission to take away important federal funding on government agencies and programs he does not personally believe in or are against to. And as the school year is about to end, there is a big likelihood that education will no longer be free the next time around. It is a big stumbling block to students coming from poor families who can barely put food on the table more so pay for expensive private school tuition. The proposed budget would shrink the assistance programs that now enable 12 million students to attend college: funding for college work-study programs would be cut in half, thus “saving” $490 million. It would eliminate a student loan forgiveness program, enacted in 2007, that encourages college graduates to enter careers in public service—such as social work, teaching, or working as doctors in rural areas—by relieving them of their college debt at the end of ten years of such employment. Some 550,000 young people have joined this program in the past decade; the first wave are due to have their debts forgiven in 2017, but it is not clear if the administration will follow through on the promise to cancel their debt. Public schools rely heavily on government funding for it to work. And millions of American youth count on the system to help them get a quality education because their parents can’t afford to pay for it themselves. Trump promised to “Make America Great Again” during his campaign but with the way things are going on now, many are doubtful if he’ll be able to do it considering he is planning on reducing the budget for education and there’s even buzz about the privatization of most schools. 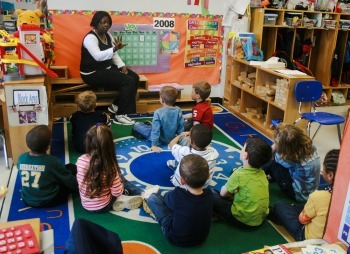 For example, quality preschool gives children – especially those who are most vulnerable – the strong start they need to succeed in school and in life. But the Trump administration’s budget eliminates the Preschool Development Grants from the Department of Health and Human Services – a program that would have provided thousands more children with access to quality early learning. A $10-billion budget cut is no laughing matter. It means not enough support for teachers as well as after-school and summer programs that currently help impoverished students keep up with their well-off peers. College students will also be affected as work-study programs will lose $4 billion in federal funding. What’s worse is that this budget cut is not solely limited to education alone but as well as in mental health services, access to nutritious meals, public transportation and even public housing among others that are crucial aspects of nation-building. By reducing the funding for these basic services, the ordinary American will have a hard time keeping up with the times and will sink deeper into poverty. And since they can’t afford to send their kids to school, they have no way out of this mess. As a result, they can’t contribute to the betterment of the American Society and persist to be a burden to the government. What Trump is doing now is an attack on the American people at large and in complete contrast to his promises when he ran for office.